My former co-worker Guy sent along a link to this amazingly cool tech. I wonder, was it at Siggraph? 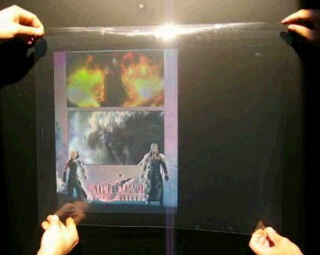 It looks like a full-color hologram on a roll-up translucent film. How awesome!